Despite propane’s inherent advantages over dirtier gasoline and diesel engines, impurities and contaminants from fuel production, storage and handling are being been blamed – at least in part – for sagging shares in both over-the-road and off-road vehicle market segments. Industry experts say these lingering issues must be resolved in order to recapture these vital markets and penetrate lucrative new ones – such as fuel-sensitive microturbines and fuel cells. “We need answers now. 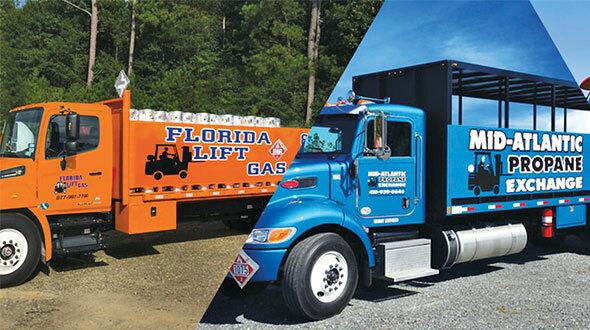 If we wait another 23 months before we act we will do severe damage to the forklift market,” Propane Education & Research Council board member Curtis Donaldson told his colleagues at a meeting last September. Donaldson is president of Clean Fueling Technologies in Georgetown, Texas. Fuel contamination has many sources, including common carrier rail cars and no caps on off-loading lines. “We have a good fuel, but we need documentation to battle the claims of our competitors who are steadily stealing market share,” he says. Meanwhile, EPA’s new 2004 and 2007 tailpipe emission standards for forklifts, spiraling gasoline and diesel prices and a growing dependence on foreign oil in the face of war in the Middle East are providing a heightened sense of urgency to find the elusive answers. Two years ago, the Propane Education & Research Council funded a study to identify fuel issues and put together a team of experts to work on solutions. An industry-wide propane fuel quality workshop was held in November 2000 to discuss the principal concerns and establish a process through which producers, marketers and equipment manufacturers could cooperatively examine those issues, determine primary research priorities and set an overall course of action. A report assessing those issues and outlining research and development needs was presented to the council last fall. Working with the Propane Vehicle Council, PERC last month awarded a $1.4 million research grant to Southwest Research Institute in San Antonio to study three propane engine fuel system technologies and provide a comprehensive analysis of the effects of propane fuel composition on emissions and engine performance. It is the council’s largest single research project since PERC was formed five years ago. Researchers will investigate closed-loop carburetion, central fuel injection and port fuel injection technologies; explore the effects of LP gas fuel quality variation on emissions deterioration to determine the proper fuel composition to meet the EPA’s 5,000-hour durability requirement; investigate the effect of LP gas sulfur levels on forklift catalyst performance; study the effectiveness of fuel additives on fuel system durability and emissions deterioration; and look at the effectiveness of filters and oil separators. The project should be done in the fourth quarter of this year. “Time is of the essence, and that’s why the Propane Vehicle Council and PERC answered with this project. It’s unfortunate that we had to wait for two years, but we now feel confident that we’re going to get someplace with this project,” Feehan says. Longtime industry veteran Bob Myers, who chairs the PERC task force, says the much-needed research project promises answers to the issues that have caused the automotive market to stagnate for years. Fuel quality has a significant impact on end-use equipment, as seen in these views of a normal regulator using HD-5 fuel (left) and a contaminated regulator using California LPG (right). “What the lack of consistent fuel quality has caused is the lack of momentum in the motor fuel market. In fact, there are fewer OEM propane vehicle options available now than there was 20 or even 30 years ago. Some of that is due to fuel quality. Time and again in conversations with OEMs, the service and warranty problems they encounter due to fuel quality has discouraged them from providing more propane offerings,” he says. According to Myers, domestic propane vehicle population peaked in the early 1980s with some 425,000 vehicles on the road. Today, there are roughly 270,000. He estimates the loss of those 155,000 vehicles over the past 20 years has cost the propane industry about 3 billion gallons in lost fuel sales. Because of their complexity, however, solutions won’t come overnight. Fuel composition is routinely compromised by production purity and a host of contaminants that can greatly impact what a fuel system can deliver at the tailpipe. Propane is the only petroleum-based fuel product without specifications like those required for gasoline and diesel fuel. When batch specifications waver, inconsistency of hydrocarbon concentrations (ethane, propane, propylene and butanes) in propane fuel can create problems in end-use applications. Depending on where and how propane fuel is extracted or produced, hydrocarbon and water levels can vary significantly. Different grades of propane contain varying amounts of these impurities. HD-5 grade contains no more than 5 percent propylenes, while HD-10 does not exceed 10 percent. “Commercial” grade propane allows for wider variation – up to 49 percent – in the purity of the propane. Several independent studies in recent years verify producers’ claims that the vast majority of propane sold in the United States meets not only commercial grade, but also HD-5 specifications. The impurities in those grades pose no real problem for typical residential, commercial and agricultural markets, but they do for the motor fuel segment. Still, some in the industry think tougher specs for propane producers would go a long way in providing consistent and acceptable fuel for propane engines. Not surprisingly, producers oppose that concept. 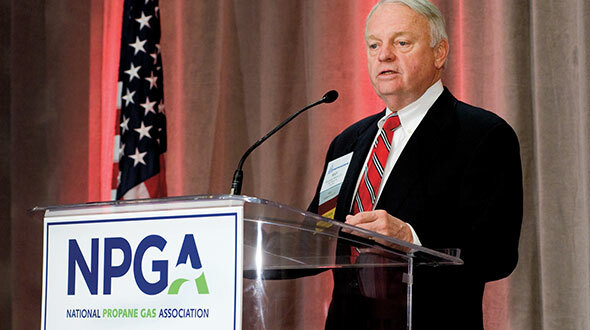 “There is no doubt the issue of fuel quality needs to be addressed for the problems it causes the motor fuel segment, particularly forklifts,” acknowledges Dale Delay, commercial manager of wholesale propane for El Paso Field Services Co., a business unit of Houston-based El Paso Corp. El Paso is the nation’s second-largest producer of natural gas liquids. Delay also is a board member on the Propane Education & Research Council. Another view of a contaminated regulator using California LPG fuel. “But the answer is not in mandatory specs. The current specs are adequate, and 99 percent of production meets those now. Every contract has specs for the purity of the product being sold. It’s a liability for producers to sell a marketer something other than what is contracted for. If anything, they will err on the conservative side because of those liabilities,” Delay says. There also is concern that the EPA will create and implement new specifications without industry approval. Even if tougher specs could improve propane purity at production, producers are quick to note that they can’t guarantee product integrity after it enters the distribution system. Even the purest loads of propane stand a good chance to get tainted by contaminants in the pipelines, rail cars, tanker trucks and storage vessels before reaching the marketers. Even the highest grade propane leaving the producer site can be tainted from hoses or transports that deliver product to marketers. From original production through processing, transportation and storage, propane can pick up natural contaminants such as ammonia, methanol and heavy ends that foul equipment. Sourcing and addressing the points of contamination to reduce both frequency and severity is a priority in several ongoing industry research projects. Sulfur compounds are contaminants that can be both desirable and undesirable. Ethyl mercaptan, a sulfur compound, is added to propane as an odorant to aid in its safe detection. High sulfur content can corrode or clog equipment, often hastening equipment failure or the need for repairs. Fuel cells are especially vulnerable to sulfur contamination. Propane also accumulates harmful contaminants during its transportation and storage. For example, hoses often are the source of contaminants such as rubbers and plasticizers, but they have not been thoroughly investigated to quantify contamination or standardize equipment. Some believe it’s time to turn to technology to clean contaminants from the fuel. Those remedies could come in the form of fuel additives or some type of filtration system on a particular piece of equipment. Both technologies have existed in various forms for many years. “We are the only fuel that doesn’t have a filter. If we have the technology that allows us to split an atom, it shouldn’t be too big of a step to create an adequate filter for propane engines,” says Delay. Lloyd Lack is president of Energy Additives Inc., based in Battle Creek, Mich. His company sells additives for conventional gasoline, diesel and fuel oil. It also claims to have the only complete line of additives for the LPG industry, mostly for use in motor fuel and industrial vaporizers. Impure fuel can readily foul vaporizers such as these. 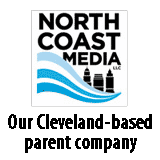 “We’ve been marketing to the LPG marketers for 15 years now,” says Lack, who began his career in the natural gas business before doing service work for the old Skelley, Buckeye and Northern propane companies that no longer exist. “We sell mostly to wholesalers, although a lot of independents buy from us for the edge that they get. Everybody sells a commodity. Everyone sells his service as the best there is. 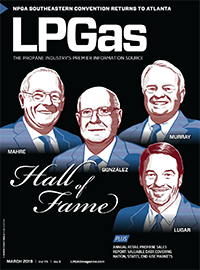 Everyone knows LP gas is LP gas, but if you add a little bit to it, you have an edge on the competition,” he says. Lack says he believes the propane industry could develop a separate, niche market that would support a premium fuel. Over the years he has found little support for that idea, however. “I always felt that there was a need to differentiate between the auto fuel and the normal domestic fuel. I believe that, if they did that, they could dominate their market,” he says. Are fuel additives the answer to the ongoing fuel quality debate? Propane-fueled internal combustion engine forklift sales grew from 48,000 units in 1998 to 58,000 in 2000, but then dropped to 52,000 units in 2001. 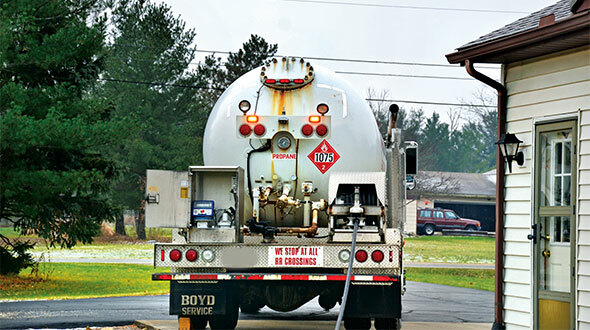 Developing propane quality control and clean-up procedures that are tailored to specific end-uses also raises the question of who will foot the bill. “Thirty years ago we used a tank with activated charcoal and alumina pellets to scrub out contaminants at a local retail plant. It worked great. So, who does the upgrading to the extent needed ultimately is a function of economics – for someone,” observes Myers. PERC’s task force wants to conduct laboratory testing to correlate fuel composition with end-use performance for a variety of uses. It hopes that an analysis of what works best for different end-use technologies could provide substantial insight regarding possible propane cleanup steps, could eventually reduce costs for producers, marketers, and equipment operators in addition to answering questions about optimal fuel composition. Meanwhile, PERC is reviewing funding requests for research proposals to evaluate LPG fuel blend variations, assess the impact of fuel additives, develop a low-cost sensor to monitor propane quality and the quality of propane fuel blends, and investigate fuel sensitivities in microturbines. Even if research generates effective solutions to specific motor fuel problems, however, they still must pass the scrutiny of being cost effective to the industry as a whole. “We are looking at improving fuel quality overall, but we have to be careful that we don’t end up substantially boosting the price of fuel for 17 percent of the market when 48 percent of the market doesn’t need it. Likewise, don’t want to increase the cost of servicing the forklift systems. So it’s going to be somewhat tricky,” explains Feehan. According to Myers, the challenge to the PERC task force goes beyond protecting jeopardized market segments. “It’s the whole idea of living up to who we say we are. PERC is spending millions on promoting propane including its “clean” benefits. Are we living up to the promise? 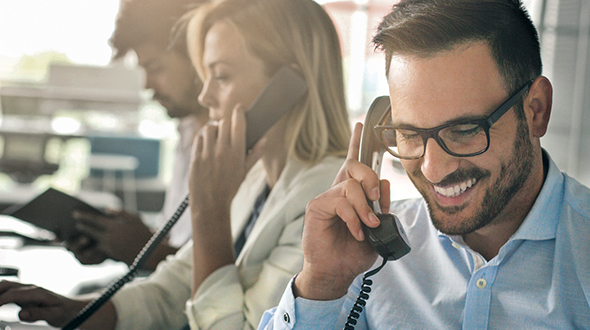 Can the customer trust us? The forklift market is responsible for 13 percent of all propane consumption in the United States. “What is more certain is the charter for the Fuel Quality Task Force. There is some stellar talent in the group representing all segments of the industry and from several foreign countries, and I firmly believe they all have the industry’s best interest at heart. This is not just a U.S. issue. In my work with the World LP Gas Association, I can tell you it is on the agenda of most countries I deal with. We will use that experience in our own work and sharing what we can,” he says.